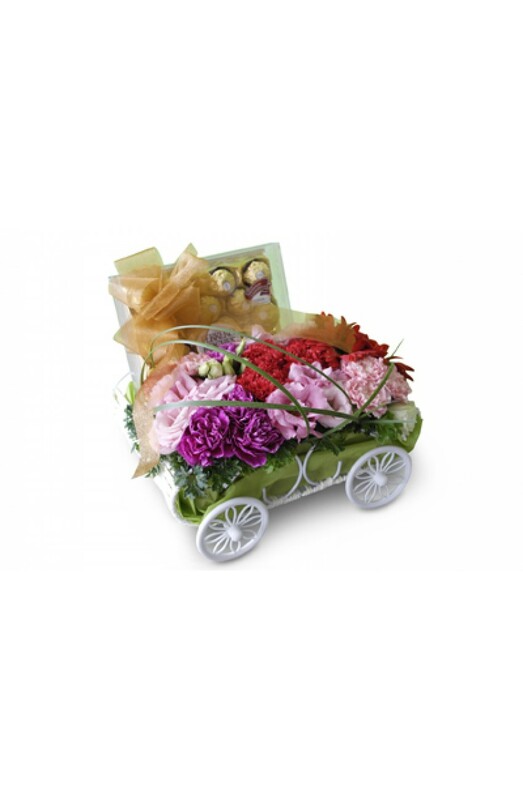 Flower Basket Arrangement: 12 stalks mixed Carnations, 3 stalks of Gerberas, with a box of Ferrero Rocher. Specially for all wonderful mothers on this special day. Only available in Klang Valley, hand delivery.